Dr Debra O'Malley graduated 1991, Rosalind Franklin University of Medicine and Science / Chicago Medical School. Dr. O'Malley specializes in obstetrics & gynecology and critical care (intensivists) in Melrose Park, Illinois. 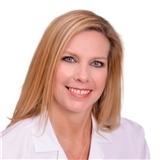 Dr. O'Malley is affiliated Gottlieb Memorial Hospital. Hinsdale & Oak Brook Women's Clinic is a well-known private practice in Willowbrook, Illinois. Dr. Adam Ramsey offers diagnosis and treatment of General Gynecology and Obstetrics, as well as Female Urological Conditions and Disorders. Our newly remodeled medical facility is designed with the latest "State of the Art" Diagnostic Equipment and products. Our Phyicians also provide onsite Ultrasound Imaging that makes Abdominal, Transvaginal, 3-Dimentional and 4-Dimentional viewing, which is very exciting! We also perform our own Lab Services and Bone Scans in order to provide our patients with the most convienent and time efficient office visit possible. Hinsdale & OakBrook Women's Clinic also offers Emergency and General Contraception, PMS/Menopausal Treatment, Osteoporsis Assessment & Treatment, Diagnosis & Management of Female Pelvic Pain, Treatment of Polycystic Ovarian Syndrome, Cervical & Vaginal Ablations, Skin Lesion Removal, Treatment for Over-Active Bladder, Urinary Leakage..... and much more! Our office will submit all insurance claims/billing to any individual PPO insurance company as a courtesy to our patients. We are contracted as a specialty group with Blue Cross Blue Shield and United Healthcare insurance companies. Please inform the office if your insurance covers Annual Routine Screenings once a year so you receive your maximum benefit yearly. First off she was an HOUR late to my appointment. She didn't apologize or anything. She barely listened to my issues and was more interested in my baby that I brought with which by that point had had enough because shewas missing her nap due to Dr. O'Malley being an hour late. She then suggested a procedure to help me and said her secretary would follow through with a day or two with pricing and she never called me back. I just checked my insurance and she charged me A RIDICULOUS amount for this appointment where she did ABSOLUTELY nothing! You better believe I will be fighting this bill. I would never suggest her to anyone and will never be going back. She was so nice.. it’s hard find a person like this!! She is awesome. She explained my everything!! She was amazing! I’ve been searching for an OBGYN for 5 years and no one took the time and answered my questions and addressed all of my concerns like Dr. OMalley. I’m so glad I found her! Very polite, understanding, takes time to listen to your concerns, make you feel very comfortable and provides full details and side on recommend prescription drugs. Wonderful doctor! Do not book online. They claim their scheduling system is not connected to ZocDoc so they were unaware I had an appointment. Dr O'Malley is a wonderful, caring doctor who treats you like a human being and always takes the time to answer your questions. I've been seeing her for 2 years now and she was my primary dr throughout my pregnancy. I'venever had an unpleasant visit (and I've had plenty of those at other dr offices), she and her staff are always respectful, on time and have excellent bedside manner. I'm new to the area but will recommend her! She was very thorough and answered any questions I had. My appointment didn't seem rushed. My appointment was pushed back because of a mixup with zocdoc and then the wait time wasabout 20min or so but no big deal she still got me in. She's the best OGYN doctor there is. And her staff is so friendly. Dr. O'Malley was very attentive to my needs and I went in there for an annual exam and came out with all my issues and concerns addressed. Mind you, I panicked and scheduled a last minute appointment and she was stillable to see me on such very short notice. She was kind and very professional and I felt at ease during my entire visit. I normally feel so nervous about annual visits, but my experience with Dr. O'Malley was great. I'm definitely going to be coming here for my annual exams and follow ups. Thank you again Dr. O'Malley! Dr. O'Malley was kind, patient, and knowledgeable during my visit. She provided clear explanations of what was happening during my appointment and was able to answer any questions I had. I felt very comfortable in her office for my appointment. I am a health care professional and was a little hesitant to pick a new doctor from Zocdoc for a second opinion but liked all the reviews about how caring Dr. O'Malley is and how she listens. She spent more timewith me than any doctor ever has. She is so thorough and really listens. She is very compassionate and I left there with a better understanding of my condition, testing, and potential treatment. She is a gem! You don't find many providers like her anymore. Dr. O'Malley and her staff were professional and really made me feel comfortable. Her waiting room is warm and welcoming. She is very friendly and answered all my questions. I highly recommend her. This was my first time here and the receptionist knew my name before I had to tell her mine. She was extremely friendly. The nurse was super personable and helpful. The doctor was great! I told her I really appreciated herpatience in answering all of my questions as well as her staff in not making me feel rushed. I'll be back! Highly recommend. Had my first prenatal appt with Dr. O'Malley and she was so informative, patient, nice and made me feel comfortable. I felt she was very caring and attentive. Also the office staff were really nice too. I'm happy I found her! She was so informative and you can tell she is genuinely concerned about your well being. It was a pleasure being in her office. Very good And nice person. She made me very comfortable and answered all of my questions and didn't rush me. She made sure all my worries were taken care of. Wonderful! LOVED HER! I was nervous about seeing a new doctor & not knowing what was going on with my body. She was great! Took the time to explain all my ER reports with me & my options. I have already recommendedfamily & friends to her as well. She genuinely cares about her patients! Dr. O'Malley is kind, compassionate and informative. She has a warm and welcoming demeanor. She spent time discussing my concerns and was professional and very thorough. As a new patient, I was seen the next day and there was no one else in the comfortable waiting room. Dr. O'Malley was probably one of the most thorough and thoughtful doctors that I have ever had. She is extremely patient and takes all the time you need to ask and answer questions. She is absolutely wonderful. She has a wonderful bedside manner and performs a thorough physical while taking time to answer all questions thoughtfully. Very friendly and knowledgable. Explained what she was doing the whole time and made me feel comfortable. Also listened to and addressed my concerns regarding birth control/medical history. Her nursing staff is friendly as well. I am so happy to have found Dr. O'Malley. She is compassionate, kind, and caring and has the type of philosophy in practicing medicine that I prefer and have come to find rarer and rarer these days. She's a keeper!! Although the wait time wasn't great, the staff more than makes up for it with their professionalism. I Felt Very Comfortable With Dr. OMalley. Her Excellent Bedside Manners Made The Exam Much Easier. She Is Thorough With Explanations And Will Answer All Your Questions. I Finally Found Someone I Really Like! Her Staff Was Excellent As well. Thank You! The receptionist was very polite and got all my paperwork entered promptly, the nurse was pleasent and efficient, and Dr. O'Malley is very nice and thorough. I got there early to fill out new patient paperwork and was called back within five minutes of my appointment time. She was SO nice and friendly. I felt bad because the nurses were unable to be there due it illness, but the doctor took my appointment anyhow. She even prescribed me something for my cold. She was very thorough. I will definitely be returning!! Very attentive to your issues and genuinely showed concern. Didn't rush through appointment and staff was very nice as well. First time visiting so I waited for that reason alone but otherwise I was seen right away. Dr. O'Malley is the type of doctor I would recommend to anyone. She is so gentle, comforting, and kind, which is something that most doctors forget to do. She has up-to-date technology which helps in reassuring the type of practice she is in. Overall, amazing woman! Dr. O'Malley was so patient and kind and was very informative. She explained everything she was doing and I did not feel rushed at all! I highly recommend this office. Even the staff was very sweet and kind. She is my 5fth doctor to find answer concern about my health. I found her all my worries resolve and answer all my questions and giving an advice with concern. I really feel comfortable when I am talking with her. I highly recommended her. My visit went very well. The staff was very nice & caring. They all went above & beyond to make sure that my needs were met. Everyone was polite, professional, attentive, and caring. Dr. O'Malley is very kind, compassionate, and thorough. She took the time to address all of my concerns, from gynecological to general health issues. I'm grateful that there are healthcareprofessionals who are also great caretakers, which has not always been my experience. Thank you, Dr. and staff! Dr. O'Malley, was amazing, a very sweet spirited woman. Was able to answer all of my question and was able to get to the root of my issue. I would definitely recommend her to any one of my family and friends. Very highly recommended! Very thorough examination! She has an approachable personality and makes you feel comfortable. She's very friendly and nice and answered all of my questions. Only downside was the wait time (more than 1 hour) but that's completely understandable as she takes her time with patients and doesn't rush you out. Really enjoyed my visit with her. Dr. Debra O'Malley, MD has no appointments on Zocdoc right now.